NEW!!! 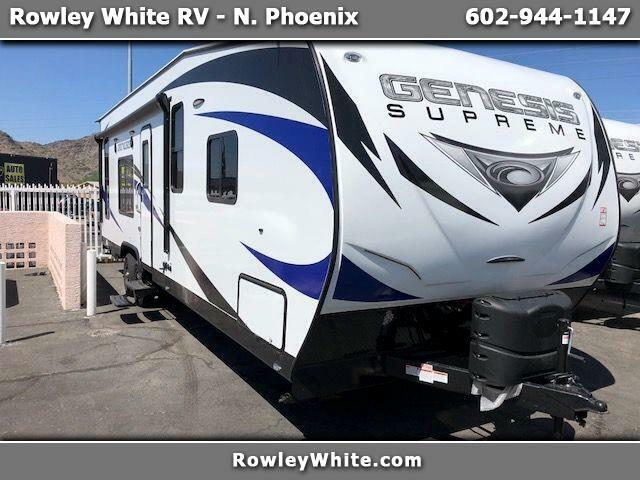 Genesis Supreme 27ft Toy Hauler w/Living Room Slide Out!! Visit Rowleywhite.com to see our full inventory of new and used toy haulers. We are toy hauler specialist and only carry the best Toy Haulers, so if you are looking at a toy hauler somewhere else, make sure and check us out, we sell for less every time! We also carry Eclipse RV’s Stellar, Iconic, and Attitude; Pacific Coachwork’s Powerlite and Blaze’n and Genesis Supreme! every credit situation! Call for more details or apply online today! Visit Rowley White RV online at www.rowleywhite.com to see more pictures of this unit or call us at 602-944-1147.